Transit agencies are interested in double-decker buses because they can move more passengers in a smaller road footprint than running additional or articulated buses on existing lines, which can also compound traffic jams. The fully electric-powered double-decker bus has been unveiled in London and looks a lot like every other London bus but beneath its bright red exterior lurks an all-electric powertrain. The model, built by Chinese brand BYD, is be able to travel 290 km on a single charge which should mean they can cruise London’s streets all day long without needing to recharge. This kind of vehicles could travel more than 290 km on a single charge. TfL (Transport for London) assured this pilot project will lower carbon emissions, the acoustic pollution and help improve London’s air quality. The first five buses are operatin on London’s Route 98 since 2016, the buses cost more than 440,000€ each. London has been firmly on the path to greener public bus systems since 2008, when it committed to putting its first hybrid buses on the city streets. Since then, more than 1,300 hybrid buses have been in operation around the city, with another 1,400 retrofitted to reduce emissions by 88 percent, Michael Rundle reports at Wired UK. The electric mode of public transport was the latest addition to TfL’s fleet, following the launch of New Routemaster buses, which use a “hop-on-hop-off” system. 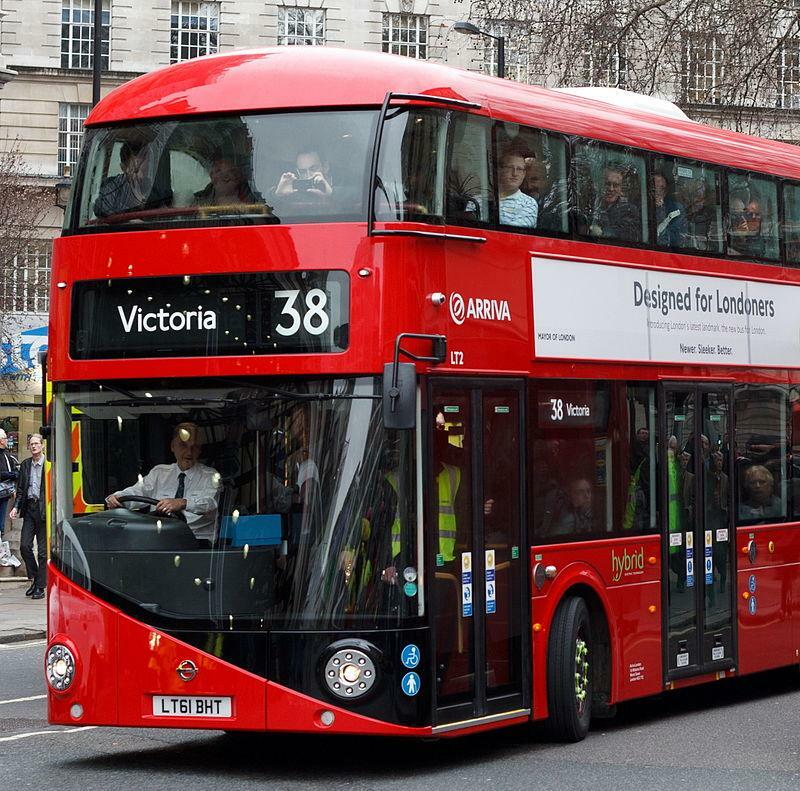 The Mayor Boris Johnson had committed to making sure that by 2020, all 300 single-deck buses in central London would be zero emission at tailpipe, and all 3,300 double-decker buses in central London would be at least electric hybrid, if not purely electric. Other cities follow this example like Los Angeles, which put the first all-electric double-decker bus into service later this year on the Foothill Transit’s Silver Line route on 2018. The LA´s buses run 320 kms or more before needing to recharge. The Silver Streak runs 24 hours a day, every 15 minutes through the day, with six stops along the way, and every hour overnight.